with a much thinner sipe design increases sipe density by 25% which allows for more edges per tread block. This increases ice braking and enhances snow and wet traction. move water and snow away from the tread surface for continuous road connection with over 13,000 milimeters in edges added from its predecessor. work together with wide pockets built into the tire to allow more snow to pack into the tread, clearing the road surface quicker for increased snow traction in slushy or deep snow conditions. is ideal for excellent handling no matter the road surface condition. Larger outer-edge block-style ribs provide a comfortable and stable drive while maneuvering the vehicle. channel water away from the tread for consistent contact with the road surface, increasing wet traction and driver confidence. 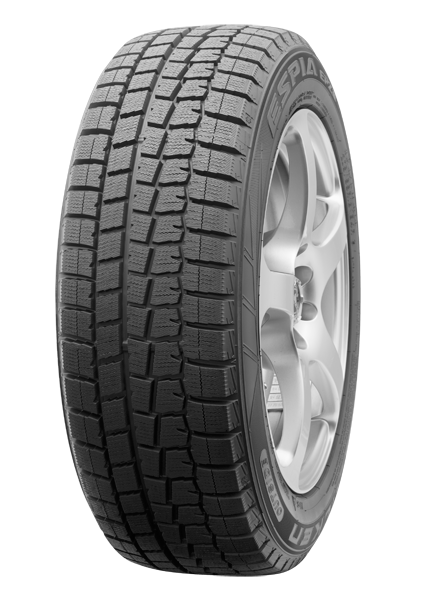 provides pliability at low temperatures for excellent winter driving ability in snowy and icy conditions.